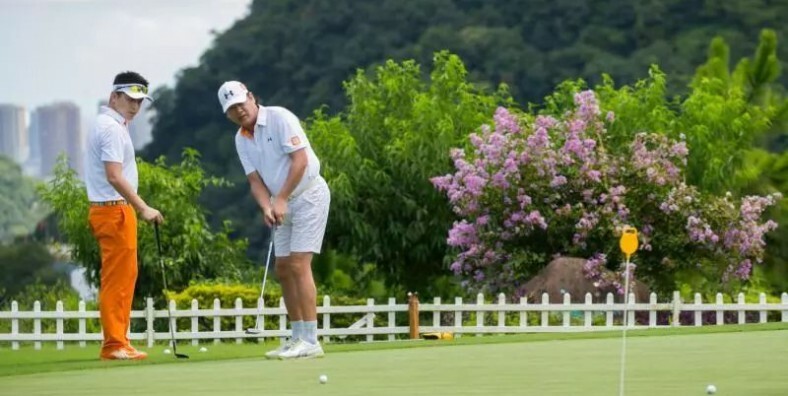 This 10 days golf course in will take you to the best cities for golf playing in Yunnan. In this tour, you will experience Kunming Spring City Golf and Lake Resort, Dali Stone Golf Course, Lijiang Ancient Town Lakefront Golf Club and Jade Dragon Snow Mountain golf Club. Besides, visit some charming attractions including Kunming Stone Forest, Dali Ancient Town, Erhai Lake cruise, Lijiang Ancient Town, Tiger Leaping Gorge. Visit the highlights of Yunnan. Enjoy the splendid scenery in this tour. Explore the elegance and charms of Yunnan. Upon arrival at the Kunming International Airport, Be met by the tour guide and drive to Kunming Spring City Golf & Lake Resort for overnight. In the morning, play golf at the Mountain Course of Kunming Spring City Golf & Lake Resort, which is a premier integrated golf resort in Kunming, comprises luxury villas and two championship golf courses – the Mountain Course designed by Jack Nicklaus and the Lake Course by Robert Trent Jones Jr. Surrounded by mountains and beside the limpid lake, the Spring City Golf & Lake Resort is one of the most beautiful golf holiday resorts in the world, hence the name of the golf paradise in Asia. It is Located in Kunming city in south China. Then drive to visit the Stone Forest in the afternoon. There is a local saying: ‘It is a waste of time not to visit the Stone Forest while visiting Kunming’, which vividly expresses the deep love of the local people toward this world wonder. The quintessential karst landscape makes every tourist lost in wonder. After the tour transfer back to the hotel. In the morning, play golf at the Lake Course of Kunming Spring City Golf & Lake Resort. After breakfast, drive to play golf at Lakeview Golf Club, after the golf, drive to visit Yunnan Ethnic Village and take the chairlift up to visit the Western Hill, which is located at the west bank of the Dianchi Lake, It is set in mountains well covered by evergreen woods and filled with sweet songs by lovely birds. Its luxuriant trees and bamboos set off splendid Huating Temple, Taihua Temple, Sanqing Monastery and the Dragon Gate. –Lakeview Golf Club has spectacular views of the famous Western Hill, which has significant cultural significance in Chinese history, and the 300 square Km Dianchi Lake the 6th largest lake in China, renowned for being the migratory resting grounds of the Siberian Red Beaked Gull and home to many native Chinese Flora and fauna. Take the morning flight from Kunming to Dali, meet the local guide and driver, drive to play golf at Dali Stone Mountain Golf Club. After the golf, visit the Three Pagodas in Chongshen Monastery, which is a typical historical symbol of Yunnan. It is also one of the oldest sublime architecture in South China. Then, move on to visit Dali Ancient Town, which is a historically and culturally famous city of China, is renowned for her historical interest. During the Tang and Song Dynasties, it was the political, economic and cultural center of Yunnan, and also an important gateway of cultural exchange and trading with southeastern Asian countries, and an important pass of the ancient “Silk Route of the South”. It has long enjoyed the reputation of “a land of letters”. —Located in the perfect union of place and culture, Dali Stone Mountain Golf Club is the first-and currently the only golf course in Dali. Situated to the right of Dali’s famous Three Pagodas and Chongsheng Temple, the Club faces Lake Erhai, with its back to the Cangshan Mountains. It is a few short minutes from Dali Ancient City and a 30 minute drive to Dali International Airport. The surroundings of this club are characterized by stunning scenery and a pristine environment. In the morning, travel in the Erhai Lake by boat and visit Jinsuo Island. Erhai Lake is the largest highland lake next to Dianchi and one of the seven biggest fresh water lakes in China. It means, ‘sea shaped like an ear’, in Chinese. Implying that the lake is ear shaped and as large as a sea, hence the name. The lake covers an area of 250 square kilometers and is located about two kilometers east of Dali. After landing, head to Xizhou Old Town to fully appreciate Bai-style architecture, taste their fragrant three-course tea and explore their distinctive culture. Then drive about 4 hours to Lijiang, be free to explore Lijiang Ancient Town. Lijiang Ancient Town has a history more than 800 years, it was listed as the World Cultural Heritage by the UNESCO 1997. Here you will see the wonderful wooden architecture of Naxi ethnic people. In the morning, visit Ganhaizi Meadow, Baishui(White Water) River, take the chairlift to visit the Spruce Meadow of the Jade Dragon Snow Mountain, which stretches a length of 35 kilometers (22 miles) and a width of 20 kilometers (13 miles). Looking from Lijiang Old Town in the south which is 15 kilometers (nine miles) away, the snow-covered and fog-enlaced mountain resembles a jade dragon lying in the clouds, hence the name. After the Spruce Meadow, play the golf at Jade Dragon Snow Mountain Golf Club, which is well-known as the highest golf course in Asia. Situated in Ganhaizi at the eastern foot of Jade Dragon Snow Mountain in Lijiang, this golf course was open to the public in October 2001. Attend the Naxi Orchestral music and Show in Dongba Palace at night. —Designed by the famous Neil Haworth, the course is situated at the foot of Jade Dragon Snow Mountain. Its altitude is 3100 meters. The specially designed 18 holes par 72 golf course at 8,548 yards has proved to be a world record. The first 9 holes are totally different from the other 9 because of the physiognomy. The layout fully presents the unique beauty of the only snow mountain golf course in Asia. The front 9 holes are on a gentle slope while the path is broad and long, the high mountain, the lake and the lush hills will make you feel easy and comfortable. The back 9 holes are designed by the shape of the mountain. You will absolutely enjoy your game by crossing through of small wood and springs or even sheer cliffs. In the morning, head for the scenic Black Dragon Pool and the Dongba Museum to explore the rich Naxi minority culture. Black Dragon Pool is the main headwater of the Yushui River which goes through the Old Town. People believe that the gods of the Naxi people are living in the chestnut woods, beside the mouth of springs, behind the carved doors and below the bridges. In the afternoon, play the golf at Lijiang Ancient Town International Golf Club, which is located at the foot of Wenbishan Peak, in front of Wenhai Lake, face to the Jade Dragon Snow Mountain, about 8 Km away from Lijiang Old Town. It is designed by Joe. Bringer, a famous designer from USA. The club features an international standard par 72; 18-hole golf course with 7,661 yards of fairway. There is also a 38-tee driving range with lights for evening driving. Overnight at the Villa of Lijiang Ancient Town International Golf Club. From Lijiang, drive about 60 KM to the First Bend of Yangtze River with imposing gorge scenery, and the Iron Chain Bridge in the Stone Drum town. The town of Stone Drum got its name from a large, cylindrical, marble tablet shaped like a drum. The scenery is magnificent as the road running through the Lijiang valley which is filled with wheat fields and drying haystacks. Continue the driving 40 KM more to visit the Tiger Leaping Gorge, which is the deepest gorge in the world. With 34 rapids of the Yangtze River, it is called the Jinsha in this area because you can find gold in the river. In the afternoon, drive back to Lijiang. Be free until take the flight for returning.